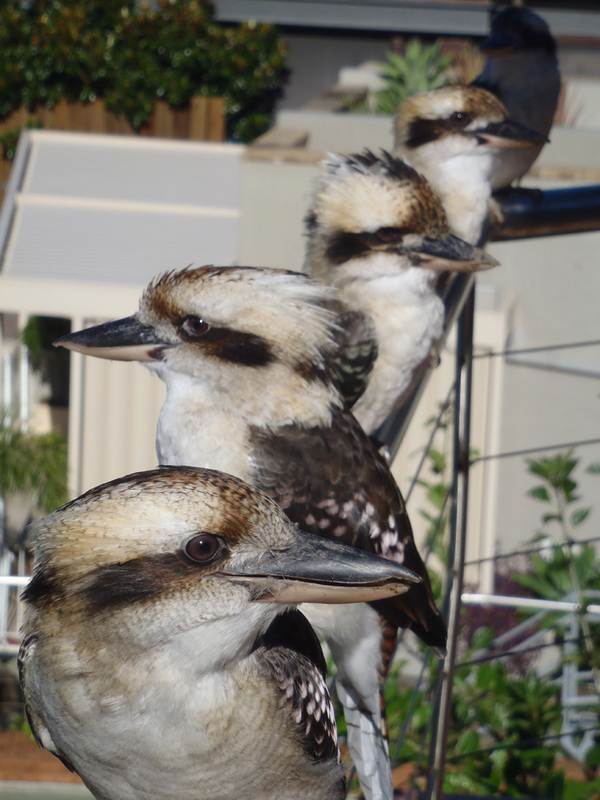 My first post on this blog was a photo of a kookabura in the early morning light sitting on my balcony. 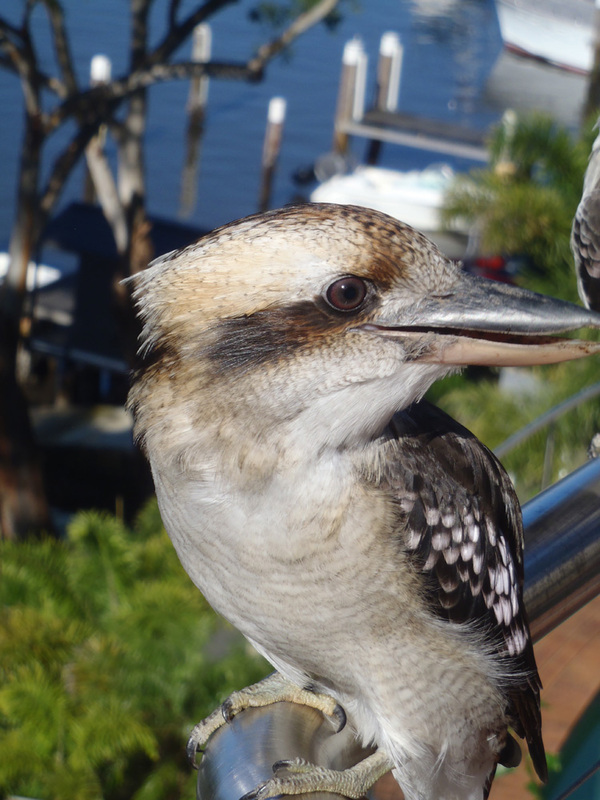 Seven months on I’m still going with the blog and I got another chance to snap a kookabura — on a friend’s balcony this time. A few seconds later a whole flock of them flew down from the trees. Nice of them all to pose for me!